Zurich's plan to overtake Royal & SunAlliance (R&SA) in the personal lines market has taken a step forward on the news that HSBC has put its book of household policies out to tender. This ends a six-year, sole supplier deal with R&SA. It is understood that the book, worth £80m-£90m, is currently out to tender and that Zurich, AXA and Norwich Union are taking a look. Though HSBC and R&SA stressed the agreement was mutual, industry sources reported the bank terminated the contract some months before it was up for renewal. An HSBC spokeswoman said: "We have come to the natural end of the contract for provision of household insurance from Royal & SunAlliance. "We are looking at alternatives, however Royal & SunAlliance could be one of those." The announcement comes just months after R&SA lost 40% of its household account through a similar collapse of its deal to run HBOS's £400m book of household polcies. The end of R&SA's association with HSBC on what is understood to be a loss-making book should please the City by having a positive impact on the insurer's solvency and combined ratio. However, industry sources suggested the added loss could leave R&SA exposed in a highly competitive market. A source said: "These deals are very hard to run profitably, but I would suspect that R&SA will want to maintain some of its big contracts. It will have to look very carefully at its remaining portfolio." Royal & SunAlliance (R&SA) has added £500m to its claims reserves, it announced in its third quarter results. The company had previously indicated that £800m raised by the recent rights issue would be needed for claims reserving, particularly for workers' compensation claims arising in the US. R&SA said the remaining £300m had been placed in a contingency fund. The money will not be available for underwriting, said an R&SA spokesman. The UK personal lines business was hit by a rapid rise for subsidence claims this year following the unusually hot weather this summer. R&SA estimated that claims on household policies from subsidence would reach £120m, compared with the £50m it expects for an average summer. 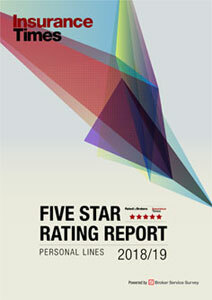 R&SA said the combined ratio for the UK personal lines business was 101.3%. For the same period in 2002, the combined ratio was 109.1%. Fitch Ratings has affirmed the insurer financial strength rating of BBB for Royal & SunAlliance Insurance Plc (RSAIP) and a long-term rating of BB+. 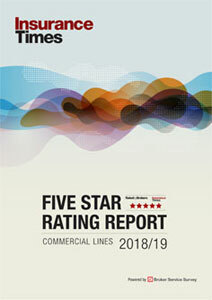 All ratings have been removed from rating watch negative, which Fitch has assigned following R&SA's first half results. The outlook on all ratings is negative. Fitch said the ratings action followed the announcement of R&SA's third quarter results which reported good underlying insurance results but a substantial strengthening of reserves.